Whew!! I did it.. I got up and started on this post. 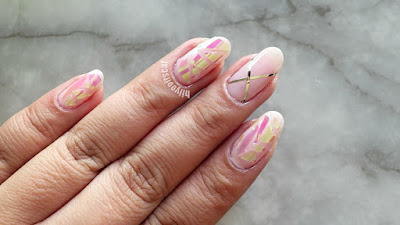 The first post back is a nail look, yay! I've been seeing this nail look around for quite some time since Christmas, 2016 and have been wanting to recreate it ever since. I finally received the products, plus had time to do my nails.. so why not a youtube video and post right? This nail look is really easy and I would rate it as beginner for nail art. It may appear intricate just because of the pieces on the nails and the word glass but I assure you, there is no glass involved in this look! NO GLASSES WERE HARMED FOR THIS LOOK! SAVE THEM FOR THE WINE! I love that the Essie Gel Couture line does not need a UV light or a base coat. I don't know about you but I break the #1 rule when I do my nails. A lot of the times, I do not use a base coat. Yes! You read that right.. no base coat for this gal. Depending on the brand and nail polish, base coats ruin the application for me. My nails are still pretty healthy for not using a base coat, plus some rules are meant to be broken right? So, when I read "no basecoat needed" I was like, "Yaaas girl.. toss it in the bag" I was shopping at ULTA at the time. 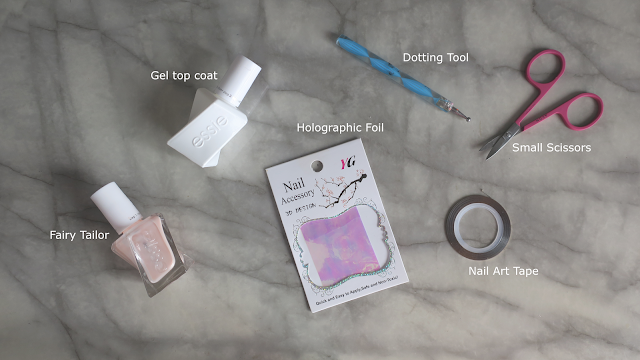 Before getting started, make sure to trim your foil into small pieces to fit your nails. I tried to cut them into various sizes. BTW, if you can't wait for the foil to get in the mail head to your local .99 cents only store or dollar tree and pick up an iridescent/holographic cellophane roll. It works just the same. 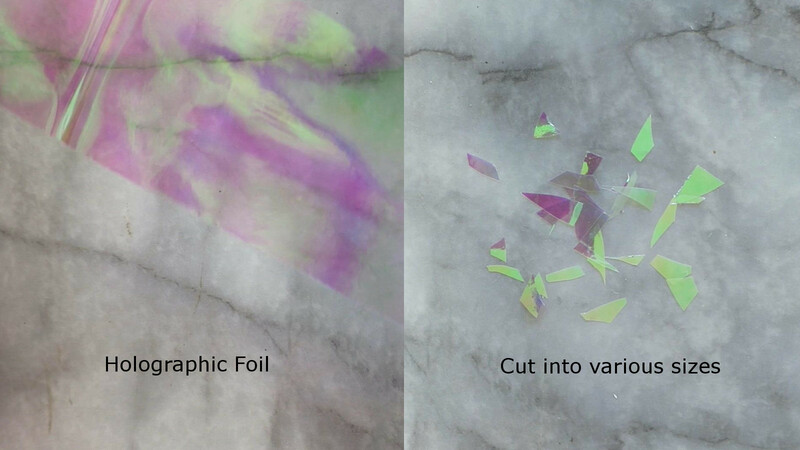 I love that the foil changes colors in different lighting and angles. In some forms its a pretty green and in others a nice pink. Well, that's it for this post. If you want more detail on the application process and to view a tutorial check out the video on my youtube channel - hiiyooitscat. You can also view the video below. If you enjoyed this post and the video, please take the time to check out my new YT channel, like, comment, and subscribe to the channel. Thank you!